Foreign nationals moving to Sri Lanka will find that the lifestyle in this country is very different from what they are used to. Nevertheless, living in Sri Lanka will open one’s eyes to the exotic and unusual beauty hiding in the ancient sites of the country. In general, expats need to obtain a residence visa if they plan to reside in the country for work purposes. Sri Lanka is a luring, a pear-shaped country that sits just below the southern tip of India and goes by a variety of names such as Taprobane, Serendib, Ceilao, and Ceylon. About 31km off the southern coast of India and to the southwest of the Bay of Bengal is this exciting haven of exotic beaches. This South Asian continental island has a tropical climate with its fair share of the chilly months, usually from January through March. May is the hottest period as it precedes the summer monsoon rains that are typical through August and from November to December. The Rama's Bridge connects Sri Lanka to the Indian Mainland and is a very popular historical attraction which, according to the Hindu Mythology, was constructed by the Vanara architect Nala during the ruling time of Rama. Today, it only amounts to a chain of limestone shoals remaining above sea level and is often referred to as Adam's Bridge, which was eventually wiped out by a violent storm in 1480. In the city of Colombo, one can see the grandest hotels with plenty of legends and history that are very much worth a visit. Colombo's biodiversity is a highlight of many of its attractions, one of which is a zoo where expats stand in awe as they appreciate a fine collection of animals, birds and reptiles from all over the world in a showcase of the magnificent wide-ranging fauna of the island. Sri Lankans take pride in a mega aquarium that is now home to over 500 varieties of Asia's aquatic life forms. A walk-through aviary, reptile closure and butterfly park also provides great pride to Sri Lankans and pleasure for expats who are happy for the chance of being able to experience nature this close. Of course, top attractions of the city are its elephant shows that take place every afternoon. Expats moving to Sri Lanka are going to have to get used to tipping as a culture in the services sector. For native Sri Lankans, this is merely a way of appreciating the services given to them. A 10% service charge is also commonly billed in restaurants. Taxi drivers no longer expect tips. Sri Lanka is another melting pot in Asia, and this is evident in the variety of religions being practiced in the country today. Most Sri Lankans are Theravada Buddhists, followed by Hindus while Muslims and Christians more or less make up the same percentage of the religious population. Most natives are deeply beholden to their religious beliefs, and they are, in fact, regarded as the third most religious country in the world by a 2008 Gallup poll. The racial diversity in the nation is also responsible for the mix of languages being used. However, Sinhala remains the national language while Tamil and English are also being used mostly by tourist establishments. Sri Lanka is one country of no great size, but expats who have come to seek a home in it have felt the nation grow bigger with its multiple diversities from natural to religious. Its most treasured finds are its genuinely warm and accommodating people who will not think twice about welcoming any expatriate to be treated just like one of their own. Before you plan your sojourn to this Asian destination, make sure to familiarize yourself with the customs regulations. Relocation to Sri Lanka can be made even more hassle free if you hire the services of removal companies for overseas shipping. Keep in mind that Sri Lanka is a tropical country, so you are faced with either glorious sunshine or torrential rain. Your best bet as far as clothing is concerned is to bring clothes made of lightweight fabric. A couple of lightweight jackets and some rain gear, like umbrellas, raincoats, and boots ensure that you are also prepared for rainy season. Monsoons start bringing in rain somewhere around May to October. Do not fail to bring your favorite swimwear, as you wouldn't want to miss out on the beautiful beaches in Sri Lanka. Be mindful though not to wear anything too revealing, in respect to Sri Lankan culture. Sunglasses and sunscreen would also save your skin from unwanted sunburn, especially during the summer months. If you have a lot of gadgets, be aware that Sri Lanka is on 230-240V. Round, three-pin sockets are also widely in use, so for your own convenience, bring an adaptor. Make sure to restrict the alcohol and spirits that you wish to bring in to the country, as customs regulations only allow two regular sized bottles of wine, and 1 ½ liter of spirits. For perfumes and souvenirs, make sure their corresponding amount is no more than US$ 250 and is not meant for commercial purposes. As in any country, illegal drugs are strictly prohibited, and possession of heroin even merits the death penalty. On the same note, firearms as well as obscene literature and pornographic materials are also strictly prohibited. The southern Asian expat destination called Sri Lanka is one of those tropical escapes that expats can opt to call home. With its myriad of attractions, ranging from ancient heritage sites to push and paradise-like beach resorts, Sri Lanka is surely a destination that no one would want to miss. Once known as Ceylon, Sri Lanka is a South Asian island surrounded by the beautiful Indian Ocean. This country’s history dates back more than 2,550 years ago and it is considered as one of the oldest democratic nations in the continent. Ranked as the 57th most populous country in the world, Sri Lanka houses more than 20.8 million people within its territory that has a total land area of 62,702 square kilometres. Aside from having three major religions namely Islam, Hinduism and Buddhism, this nation also has two capitals: Colombo and Sri Jayawardenepura Kotte. Expats bound to this tropical paradise can expect more than just sunny days but also the chance to experience one of the most unique cultures in Asia. A parent's next task involves finding activities for kids to enjoy. And Sri Lanka's beautiful geography and colourful culture will not disappoint both parents and children. A busy city, Colombo offers the excitement of a metropolitan life most kids nowadays are used to. 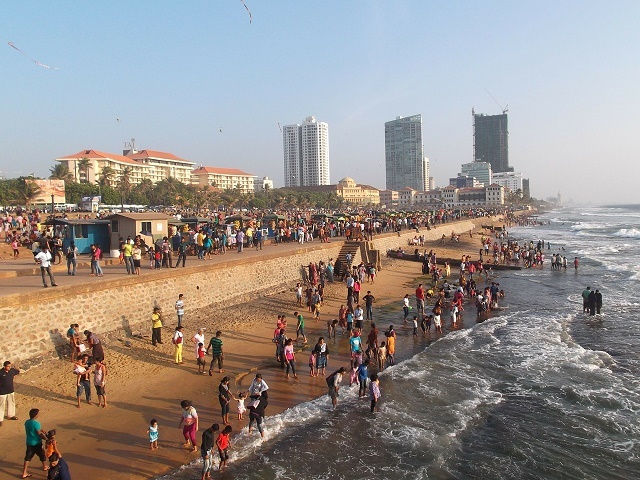 Take the kids for a city tour and ease them into Sri Lankan life by visit the Galle Face Green, a popular destination where families can go kite-flying, picnicking, and even horseback riding while staying within city zone. Once they have gotten their fill of city activities, you can then take them for a feel of some surf and sand as this country has the most glorious places to offer. Sri Lanka has a total of 1,340 kilometres of beaches. From the tourist spots of the southern coast to south, north and eastern shores, your kids can find water activities to enjoy. Another facet of your Sri Lankan adventure is to experience the wildlife in Dehiwala Zoo. 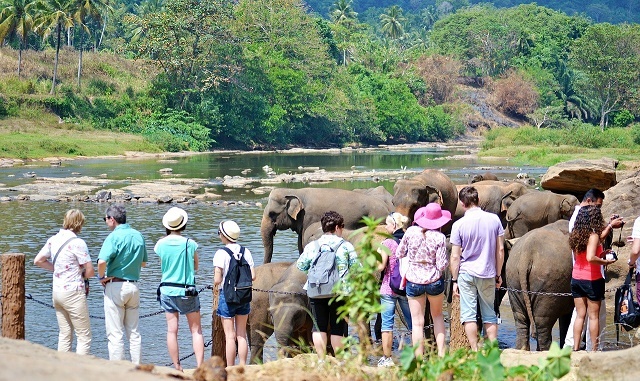 Expat families can also reconnect with Mother Nature by spending quality time in Sinharaja Forest Reserve which is a recognised UNESCO World Heritage Site. One of the best ways to know a country is by its food and Sri Lanka, dining out is cheap whereas even the most expensive-looking restaurant in major tourist areas barely charges a complete meal beyond ten dollars. When we say Sri Lankan cuisine, it means a burst of flavours from bitter melon, sweet caramelised seeni sambal (onion relish), spicy coconut meat, palm sugar and curry. Authentic Sri Lankan foods are not for picky eaters because the locals are known for their palettes that are accustomed to sweet, yet spicy dishes. Some of the staple foods in this country are curry, rice and huge portions of protein such as fish, pork, beef and goat meat. Expats in Sri Lanka shouldn’t miss out on eating some of the best local dishes which include Kottu roti (vegetable and meat stir fry served with roti), lamprais (eggplants, boiled eggs and meat), dhal curry (red lentils cooked in coconut milk), wambatu moju (pickle tasting deep fried eggplants served with rice) and appa which is the local version of pancakes. With a rich and colourful history to back up its exciting culture, it’s inevitable that an expatriate in Sri Lanka would go through some initial culture shock. However, this doesn't mean that moving to Sri Lanka should be scary. Reading up on the country's customs and traditions would most certainly help in preparing someone for the big move. Due to its many influences, an expat in Sri Lanka would notice how the people of the country observe many traditions in a lot of aspects of their daily lives. These ceremonies are observed by families starting from birth. For example, the Sinhalese observe a practice called the Nam Tebima or Naming Ceremony. This is where an astrologer provides the parents with a selection of letters with which to name the child, and these letters are based on the time of birth. The rituals continue with a child's first trip outdoors. There is a practice called Dorata where a child is first exposed to the rising morning sun, for example. An expat in Sri Lanka would find that village life also reveals a number of customs and traditions. The festive Gam Maduwa is something that you may want to participate in. It is a village celebration of special interest to farmers, as they believe that it evokes the blessing of the gods. Living in Sri Lanka also means getting used to their superstitions and omens. Do not be surprised if, before you go anywhere or before setting out on a trip, you would be required to meet someone carrying a pot of water, milk or white flowers. This is considered a gesture for you to have a safe and successful journey.